low-oil fryer - just 1/2 spoon of oil. 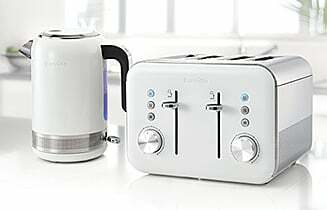 Receive 20% off matching kettle and toaster sets when you add a kettle and a toaster in the promotion to your basket. The discount will automatically be applied to your basket. For a limited time only. Exclusions apply. This very attractive 4-slice toaster fits perfectly into nearly any kitchen and will accept anything from the thinnest toast to the thickest bagel with ease, as its four toasting slots are of variable width. 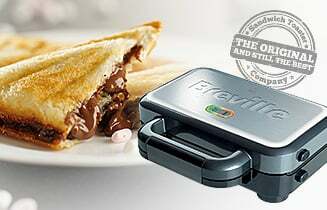 Its high lift carriage even ensures that your toast is easy to retrieve without burning your fingers. The combination of its ridged styling and high gloss finish creates a look that is both sophisticated and trendy. It is a ‘high lift’ model, so even children can easily remove toast, crumpets and other goodies from this large capacity toaster without putting their fingers at risk. This is a toaster designed from the ground up for a large family. Not only can it handle 4 slices at a time, the 2100 watts of power at its disposal enable it to toast a wide range of bread products quickly and evenly, and the advanced safety features make it easy for even little hands to use. The Impressions line of toasters also boasts the unique ‘Lift and Look’ mode, which allows you to examine the state of your toast (and other bread products) without interrupting the toasting cycle. Should your toast go cold before you can enjoy it, this model has a Reheat mode that will warm the toast without burning it! If you need to stop this process, there is a convenient ‘Cancel’ button that can still save the day. 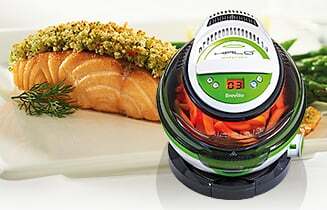 The Defrost mode even allows you to toast bread and other toastable food straight from the freezer. Impressions 4 Slice Toaster is rated 4.7 out of 5 by 1987. Rated 1 out of 5 by binty7 from Looks good. That’s about it! Now that the new toaster has had a chance to perform what is expected from it on a general school morning I can safely say that I’m thoroughly disappointed with it. Bad Points are: the more you use it the faster it toasts so you have to remember to lower the setting. toasting is uneven The spring up often catapults the uneven toast right out of the toaster onto the floor or into the dogs’ waiting mouths. You can only use slots 3 & 4 if you are using slots 1&2. Why??? If it burns the toast on the low setting what does it do to a piece of toast on a high setting? Good Points: It looks very nice. Rated 5 out of 5 by Gail from Best toaster ever! Best toaster we have ever had, previously had 2 higher end makes, both rubbish, only toasted on one side, this makes perfect toast, equally toasted on each side and quick too. Good range of settings depending how you like it and takes crumpets etc too, can't fault it at all. Rated 5 out of 5 by Patty from Fab Toaster Stylish looking toaster. The white is really white, not full like some others I've seen. All the features are very good and the knobs to depress toast are good and sturdy. Very pleased with this purchase. Rated 5 out of 5 by samhablo from Whats no to like! fits big slices of bread, toasts evenly, looks good and was not expensive. Rated 1 out of 5 by BishBosh from Disappointed !!! Lovely looking toaster BUT don't be fooled by the looks , this is the 3rd toaster I've received and all 3 have had exactly the same fault ,If you only have 1 or 2 slices then your OK but having a 3rd is when the smoke alarm goes off. Not Happy as i like the look of the toaster very much. Will be returning this for a refund unless they can guarantee me a 4th replacement that actually works perfect. I've attached a photo to show you but had to change the colour as it wont let me send the colour photo i took as its higher than the 5MB file size. Rated 1 out of 5 by jules02 from Poor quality, had product for 11 months It wasn't until I used this for the first time that I realised if doing toast for one person you can only use the right side, as a result the right side stopped working. Also if you put toast on in right then someone wants some putting in so you put in the left side when the right pops up so does the left, one side done, the other not. They should put this on the box when purchasing that only one side goes down. 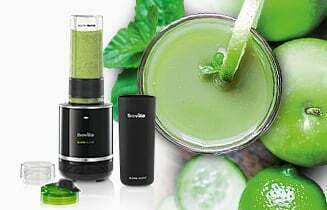 On contacting breville they do not agree its bad design. Won't be coming back to breville again unfortunately. Rated 5 out of 5 by Andy from Warburtons toast! At last a toaster that warburtons will fit in to! © Jarden Consumer Solutions (Europe) Ltd.